In a disability income policy, this risk classification that is assigned by the insurance company is determined by the job duties of the insured. The policy premium and other contractual provisions are based, in part, on this occupational classification. A type of managed care that covers care obtained both in and outside of a network of health care providers. Generally there is a higher level of benefits for in-network care and the care obtained in the network must be coordinated through a primary care physician. These plans are also called point-of-service plans. A series of ratios/relationships that measure a company's operating efficiency with respect to various income, expense, profit or loss and balance sheet results. Examples include sales to cost of goods sold, operating expenses to operating income, net gain to gross income and net income to net worth. The highest price or rate of return an alternative investment would provide. In security investing, it is the cost of forgoing a safe, generally fixed return, for the opportunity of realizing a higher level of profit. A rider on a life insurance policy that allows the policy owner to purchase additional amounts of life insurance at stated intervals without providing additional evidence of insurability. Also known as guaranteed increase rider (GIR). The right to buy or sell an asset at an agreed upon price and within a specified period of time. A policy that is not currently being serviced by the writing agent. A provision in a health insurance policy that sets a limitation on the most the insured will have to pay toward their share of covered medical expenses in a calendar year. This amount is in addition to the deductible, and is subject to the maximum lifetime benefit. A form of disability income insurance that provides payments for overhead expenses such as office rent, utilities and employees' wages that are actually incurred during the disability of the insured business owner. The commission payment made to an insurance agent's manager. This commission may be earned based on each individual sale by the agent reporting to the manager or may be based on the overall production of the office. Also known as overrides. The market for securities not listed on a stock exchange. 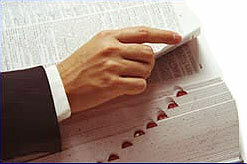 The interpretation by an insurance company of total disability under the insured's own occupation or job classification.